CAVU Aviation Finance has announced the long-term lease of four Twin Otter Series 400 aircraft to Taiwanese operator Daily Air Corporation. 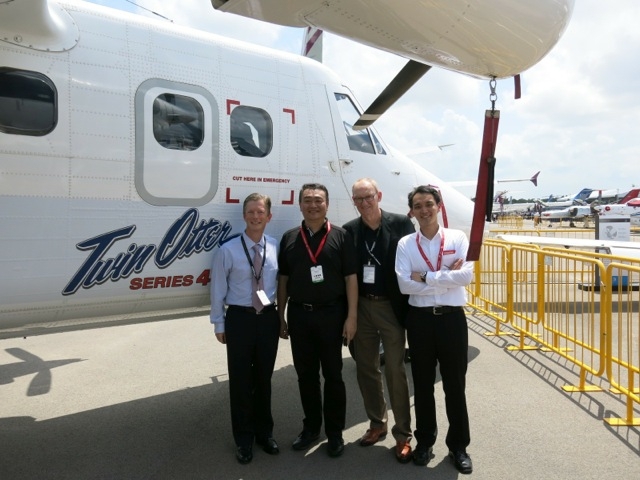 The four Viking manufactured Series 400 Twin Otters will be delivered during Q2 and Q3, 2016 and will replace three Do228s currently operated by Daily Air under a Taiwan government contract to provide essential air services to five offshore islands along the southern coast of Taiwan. The Twin Otter Series 400, with its excellent performance capabilities, was selected as the replacement because of the aircraft’s proven history of operational reliability and economics required for the restrictive operating conditions and short runways on several of the islands being serviced by Daily Air. Daily Air has been operating the EAS routes since 2005, and their bid to renew their services contract with the Taiwan CAA for another ten years will be supported by CAVU and Viking Air Limited with provision of new aircraft, training, and spares support as the aircraft enter service later this year. Two of the four Series 400 aircraft were delivered to CAVU Aviation Finance in 2013 and 2015, and the remaining two will be delivered new from the Viking factory in June. These will be the first Series 400 Twin Otter aircraft operating in Taiwan. The Twin Otter Series 400 on display at Viking Air’s Chalet (MSN874) during the Singapore Air Show will be one of the four aircraft leased to Daily Air by CAVU Aviation Finance.